As exams approach what teachers do in lessons can clearly have a major impact on results. By now we will all know exactly how everyone of our students are doing. Some will have worked hard from the very first day of the course and are in total control of their learning. However, others will have only just woken up to the reality that exams are around the corner. This means that each student will have very different needs and so lessons need to take this into account. Below are a few features of a lesson as we approach exam time. Whole class teaching will be used less as this will not target all individual needs. Lots of small groups working on a specific topic or technique that they find difficult. Small groups of A/A* students working on higher level skills and feeding off each other. Setting of lots of small targets for individual students. Feedback on progress is given in the same lesson. Small group teaching for students who struggle with a specific problem. Sharing of exemplar answers so students can see where they need to get to. Lots of positive language to create an environment where all students feel they can improve. Differentiated work to do between lessons. One final idea that I am finding effective with very weak students is simply a piece of paper! At the end of every lesson I set the student a short question which they answer for the next lesson. 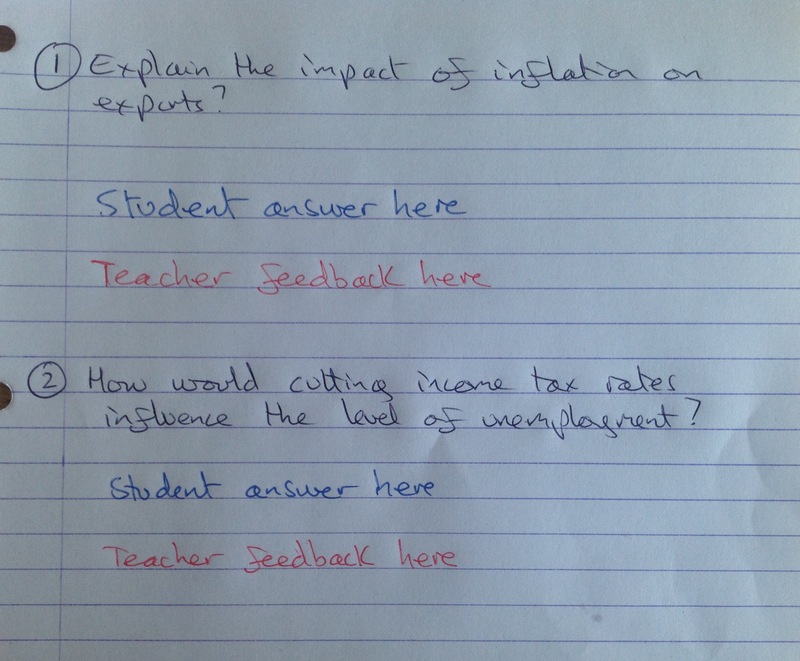 During the lesson I provide feedback and set another question. I am finding it really effective as it gives a student who feels overwhelmed a clear focus between lessons.